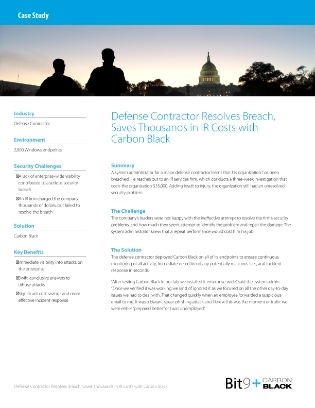 A system administrator for a major defense contractor reached out to an IR services firm to help resolve a breach. Their investigation took three weeks, cost $35,000, and left unresolved security issues. Now, the company is not happy with this time consuming, costly, and ultimately unsuccessful attempt to solve the problem. So, where did this administrator turn with their job on the line?